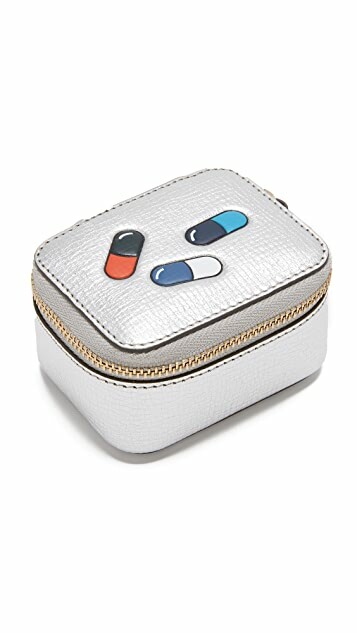 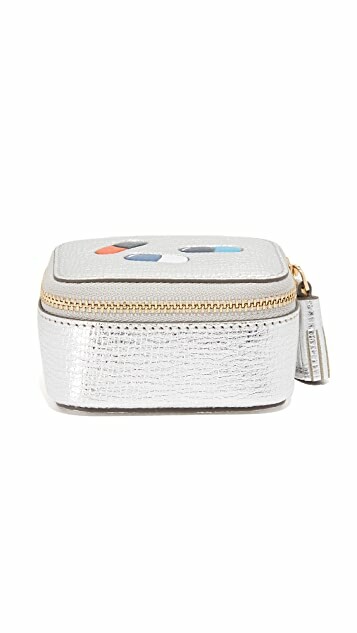 A small, zippered Anya Hindmarch jewelry pouch with playful pill graphics on top. 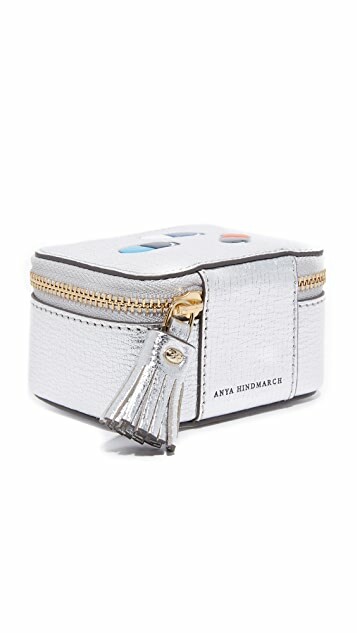 Tassel pull. 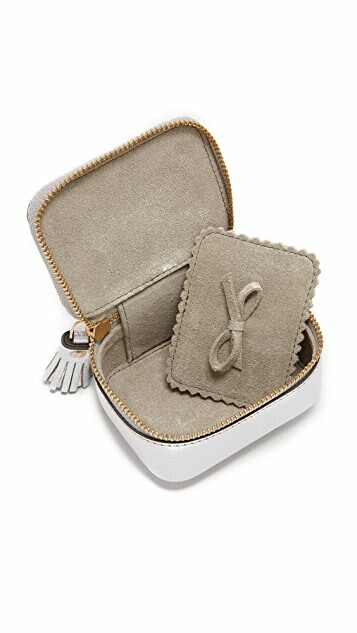 Suede interior.